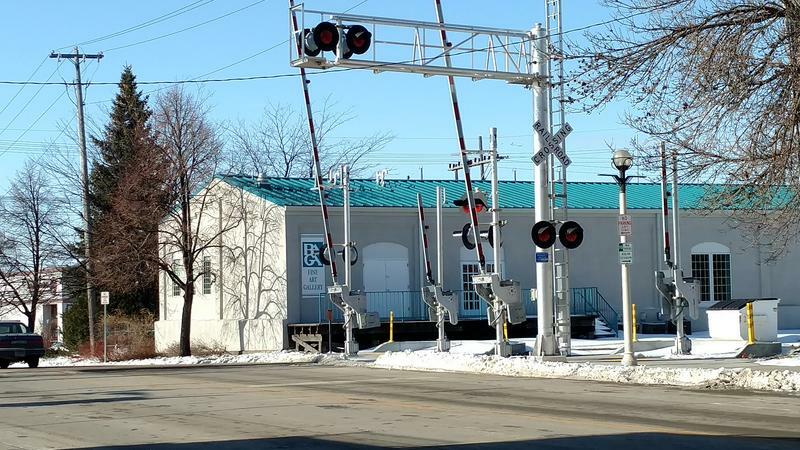 A state Senator from Casselton is hoping the 2019 Legislature will keep the Public Service Commission’s rail safety program. That program was set up as a pilot project. And it expires next year, unless the legislature re-authorizes it. 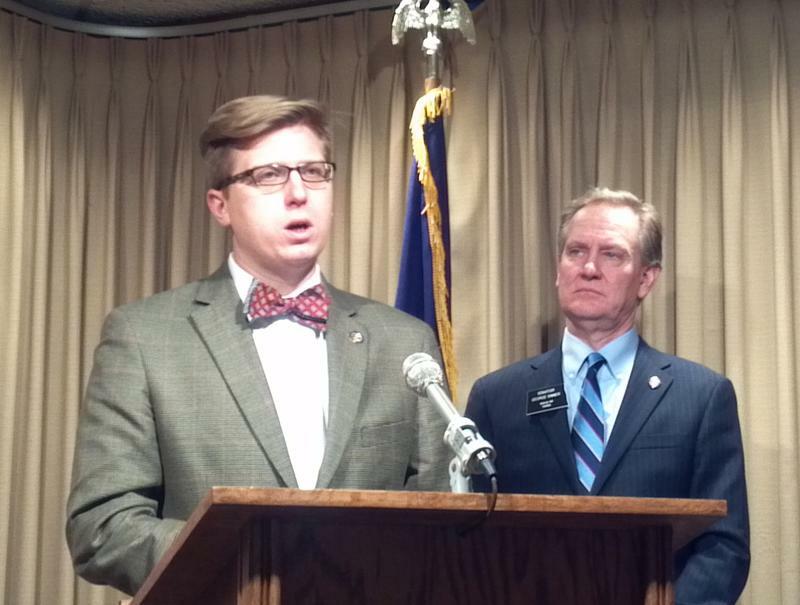 Sen. Gary Lee (R-Casselton) helped get the program approved by the Legislature. He said he thinks the two inspectors have done good work. "They will need to prove that to the Legislature," Lee said. "I do think they do good work, and have some things they do. I think we will be satisfied with the work they've done." 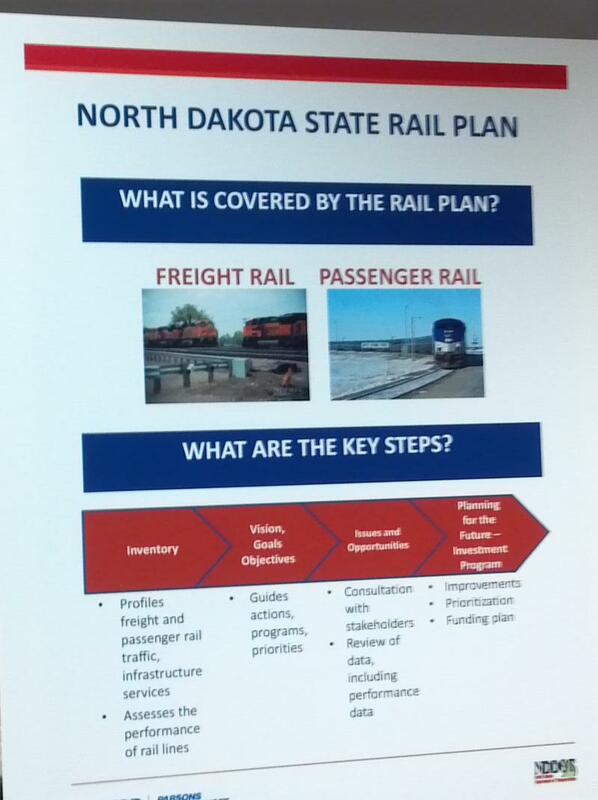 The North Dakota Department of Transportation has begun the process to update the state rail plan. It’s done every 5 to 10 years. Three public meetings were held this week – in Fargo, Minot and Bismarck. The DOT’s Ben Ehreth says one common theme from the meetings is communication – from the railroads to local officials. The North Dakota Legislature will be considering some bills dealing with railroad safety. Sen. George Sinner’s (D-Fargo) proposal is to create a five member Rail Safety Committee – funded by a special fuels excise tax the railroads pay. Sinner says that committee would review rail accidents, inventory all unprotected rail crossings on school bus routes, and would make recommendations to the Public Service Commission for safety improvements. Sinner says some have already said this is nothing more than a new layer of bureaucracy . Gov. Jack Dalrymple’s executive budget request includes money – and people – for the state’s Public Service Commission in the areas of rail safety and pipeline regulation. The PSC wants to start a rail inspection program. Commissioner Julie Fedorchak says this could help prevent future train derailments and accidents, such as last December’s oil train incident near Casselton. The transport of crude oil by rail has spiked dramatically in recent years. From 2012 to 2013 the amount carried by the country's major freight railroads increased nearly 75 percent. That’s according to the American Association of Railroads. Amid growing public concern about safety, new federal regulations went into effect this weekend to make sure local emergency authorities are notified when some trains come through. Grace Hood of KUNC reports for Inside Energy.